Even when you know Jean-Baptiste Grenouille is a frightening character from the beginning of the story, you cannot feel a total hatred towards him. Shame and concern are feelings which remain along whole the story, because this is a person who births, grows-up, suffers and becomes a killer in your hands while you are reading this master piece of literature. But the most strange and superb perversion of Mr. Grenouille is his passions for odors. His anxiety to get the most exquisite smell will be the reason of their murders, which will be achieved thanks to his extra-developed sense of smell. 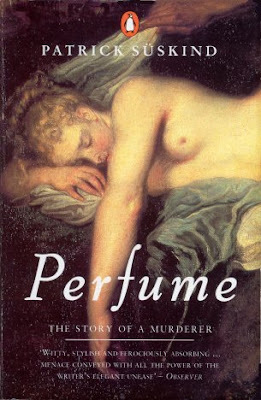 The perfume narrates the life of a girl-murderer in Paris, XVIII century. Jean-Baptiste Grenouille was born in a putrefied place in the heart of Paris. He is the fifth child among others who did not survive after were born on fish wastes, directly on the street. But Jean-Baptiste Grenouille did. His mother did not have any intention of take care of him, she preferred leave him die as the same way her other children did. But this natural born killer is not ready for leaving this world without has stolen some lives and their fragrances before. After a terrible childhood, when he was rejected and misused, but at the same time feared by everyone, child or adult, this murderer survived to any kind of illness and abuses, and became a special perfumer. His better perfume was created by the odor of virgin French girls. In order to get their fragrances he must kill them and do the same procedure that perfumers do with all kind of things to catch their perfume, the essence of life. Patrick Süskind published this first novel and best seller in 1985. This narration divided by four parts has been translated in more than 40 languages around the world. In Germany, it was considered as a literate occurrence after The Tin Drum by the Nobel Prize-winning author Gunter Grass. In Great Britain readers would say this was “the novel of the year”, and in France it was compared with The Name of the Rose by Umberto Eco. All Süskind’s works are about isolation, for instance, The Double bass, The Pigeon (1988) and The History of Mr. Sommer (1991). Thanks to this novel, Süskind has won some prizes like the ones of Literature of Gutenberg, Tukan and FAZ but he did not accept anyone of them. Not all sensations are possible to be described by words. Odors are one of them. How many times have you smelled something especial which brings a little memory about your childhood or about a person, or a travel you have done? Sometimes your nose remember better than your mind because when an odor breeze brings to you some memories, you know that odor reminds you something, even when you cannot put your finger on the moment, situation, travel, or whatever aspect in your life is touched by that little odor breeze. Finally, even if you achieve clarify the relation between that odor with your memories, you could not describe that odor. Probably you can use a few adjectives like sweet, bad, nice and their synonyms, or you can describe the situation reminded or your feelings about it, but it would not be enough to give a clear idea about how that odor is. But when you read this novel, you can know exactly how the characters perceive a rose smell, a woman one, a lamp, a metal bar, a baby. That was one of the most impressive things that caught me when I read this novel at my 21 years old. Not just odors are very good described in this work. Also each character and the entire atmosphere transport the reader to century XVIII’s Paris and all Grenouille’s world. It was an époque where children were not considered as important and dedicated as they are in our times, so it was more difficult to survive for a childlike Jean-Baptiste Grenouille. In the same way, this book shows the society differences and their injustices. All of that is narrated carefully in details that you almost can see and smell everything narrated by the only narrator. This is a determining book that enriches your experience as a reader.